Solar Panel Cleaning at the ISSA/Interclean today. 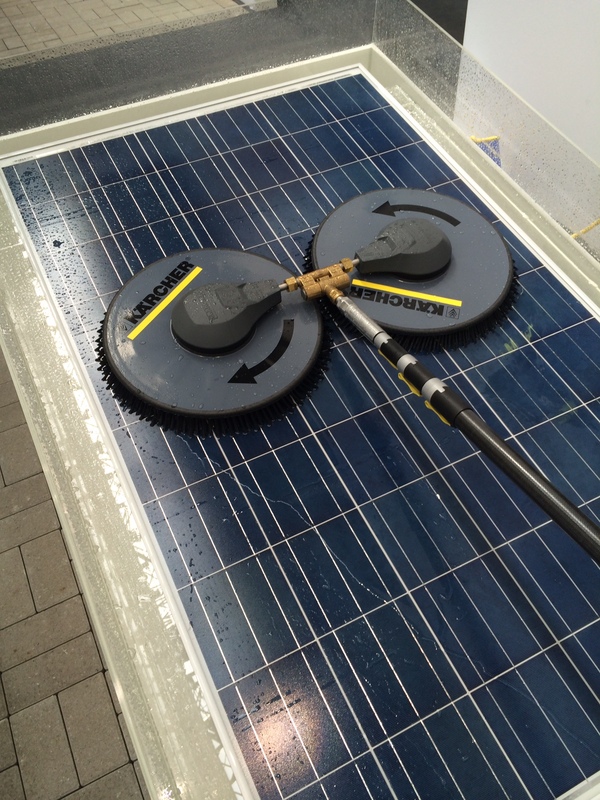 I have been investigating dedicated equipment for solar panel cleaning at Interclean today. So far there are two that caught my eye. One from Karcher that is water powered with counter rotating heads, good for flat panels, but kind of heavy for steep angled panels, they use an eXtel pole for maneuvering the head. 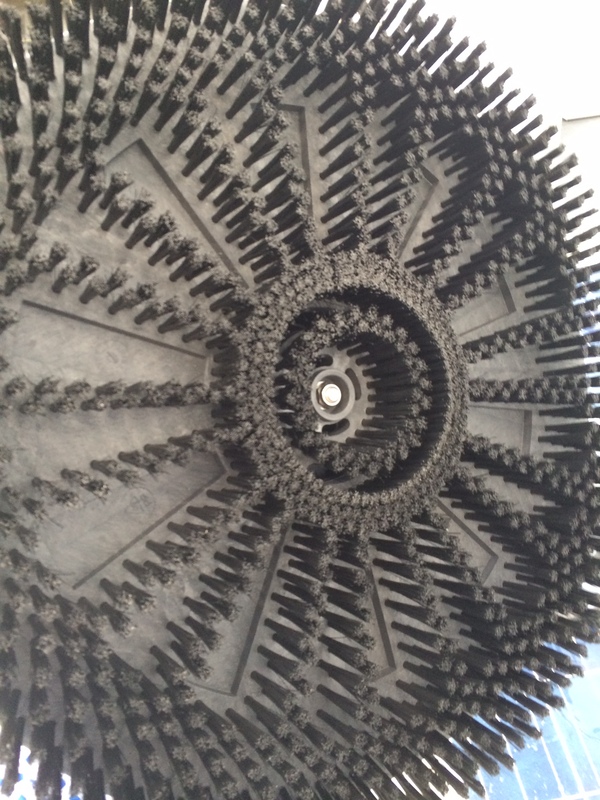 And then a second rotary brush from Cleantech. 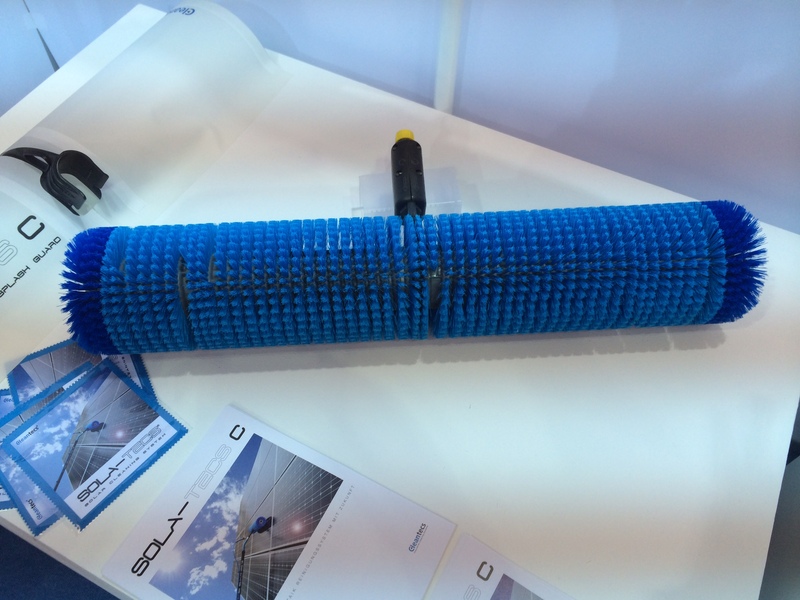 The Solar Tech brush is water powered and is offered in several widths. The brush is attached to a modified Gardiner pole (Tele or Sectional) and cleans at 700rpm.